Valentines day 2016, Michael gave Trista a white gold necklace with one of the garnets as a centerpiece – she immediately recognized the stone and knew he had gotten it from Maui… she also knew it was a pair! Their second trip to Maui was in July of 2016. They spent 13 days there and explored even more of the island. They decided Oneuli Beach was the place they would have their wedding and begun to dream of all the beautiful places they could have wedding photos taken. At this point they were not even engaged! In July 2017, Trista and Michael were on a family vacation at Tybee Island /Savannah GA, and in front of their kids and family – Michael proposed to her at Forsythe park. Brooke G from BGI photography flew into Georgia to take their engagement photos there as well. Trista saw the ring and knew they would soon be planning their dream Maui wedding. She noticed the center stone matched the Valentine’s day necklace and was the matching gem from Makawao Jewelers! From July 2017 to Feb 2018, they coordinated about 20 guests to make the trip to Maui and give them personal tours of the island during their stay. Trista and Michael planned a 20-day trip to Maui to include 7 vacation days, 6 wedding activity days, and a final 7-day honeymoon. They had an itinerary for picture opportunities, and most guests came along for the hiking while Trista and Michael took pictures with Brooke G from BGI Photography. 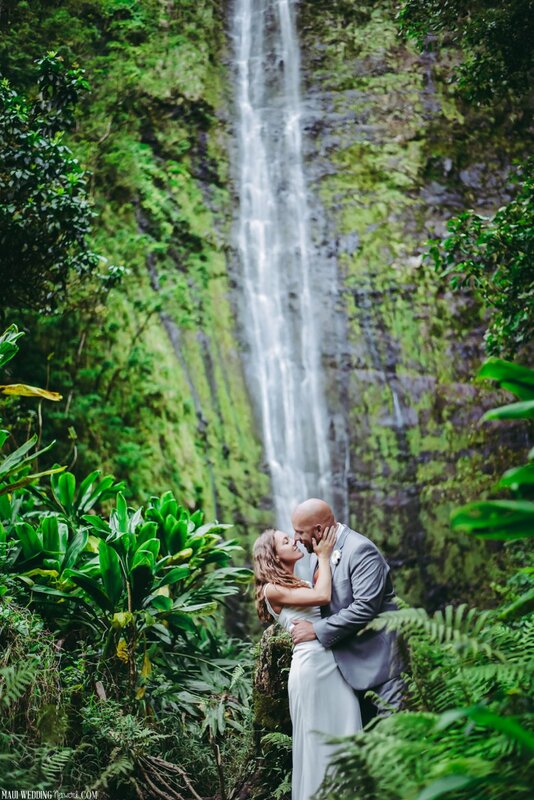 They were so pleased to spend their special wedding with family and get to show them the wonderful sites Maui has, and all the same things they enjoy every time they visit! Our wedding flowers were made by Trista’s mom – Toni. Our wedding officiant was Kevin Rebelo from HawaiiWedding.com – we loved him! We enjoyed the rest of our time on the island up north together relaxing at Kaanapali Beach dreading our return to Missouri! Thank you so much, Trista and Michael, for sharing your experience with us! It’s a real pleasure hearing the experience from the bride and groom and seeing the other side of things! 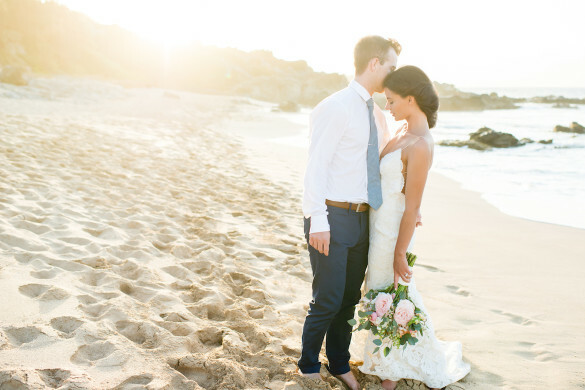 If you or someone you know has a great Maui wedding story, send it our way with photos. We’d love to share it. Mahalo and congratulations!